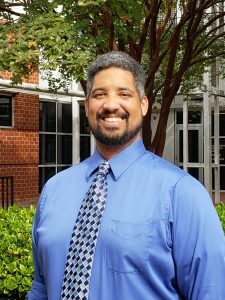 Ted Spencer joins NC Clean Energy Technology Center’s staff as the new Clean Power & Industrial Efficiency Project Engineer! A native of Charlotte, Ted spent nine years in the Navy after high school, working on aircraft carriers. He graduated from NC State University in 2014 with a degree in Electrical Engineering, and worked in the consulting industry for the next four years before joining NCCETC. At NCCETC, Ted will assist in the performance of the Center’s activities under the US DOE-funded Combined Heat and Power Southeast Technical Assistance Project, as well as to help develop/implement projects and contribute to delivery of other services offered by the Center. He will also work with the program team to complete site assessments for combined heat & power (CHP) and other clean energy technologies for industrial, commercial and institutional facilities. Ted Spencer can be contacted at 919-515-1911 or emspenc2@ncsu.edu.